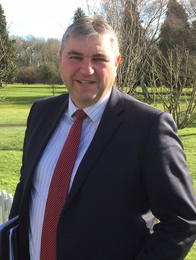 Steve joined Vision Independent Financial Planning in 2014, after 26 years continuous service with Natwest and RBS Private Banking, as a highly regarded and trusted Senior Private Banking Manager and Adviser. He believes the complex needs of high net worth clients can only be satisfied by offering a bespoke, independent proposition, which is why he had no hesitation joining Vision IFP Ltd.
Steve takes great pride in getting to know and understand his clients individual circumstances and unique requirements before making any personal recommendations. He utilises his knowledge and understanding of investments, taxation from the whole of market to tailor a bespoke proposition to meet his clients needs and these are regularly reviewed to ensure they continue to deliver the desired outcomes.